ORDER by PHONE: You may order over the phone by Calling 1-352-688-8160 Monday to Friday between 10:30am and 5:30pm EST. Forget about permanent spray-on liners and weak drop-ins. 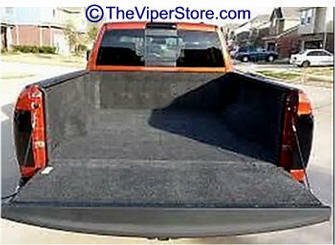 This Truck Bed Liner is your best bet for versatile truck bed protections. Innovative and unique, this Bed Rug bed liner gives you the look and comfort of a carpet, in an ultra-tough 100% polypropylene (plastic) product. 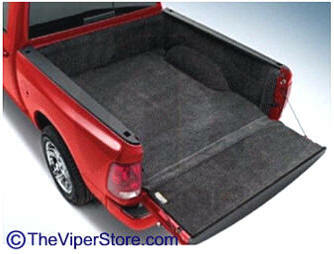 Made in the USA, it has the soft, non-skid top to handle fragile loads, which also makes a great seat for tailgating. And, the material is all durable plastic, which means you can also handle the heaviest, nastiest loads. Not to mention the sharp look of custom carpeted bed. Installing the Bed Rug is a simple do it yourself project. No messy paint drips like roll on liners, no clumsy prying to fit into a space like drop in liners. Cleaning is easy with vacuum or pressure washer. Comes with a limited life time warranty. Notes: Trucks with utility rails - once installed the Bed Rug may cover the utility rails and tie-down equipment. The liner can be easily trimmed to allow access to these systems. Once trimmed the Bed Rug can not be returned. * Thick pile carpet like top pampers fragile loads and makes a great place to sit. When you have a pickup, protecting the bed is an absolute must. But, full bed liners cost a lot of cash, and some of them are pretty much permanent. That's why the Dee Zee Heavyweight Truck Bed Mat makes so much sense. You get semi-custom protection for your bed and your budget. 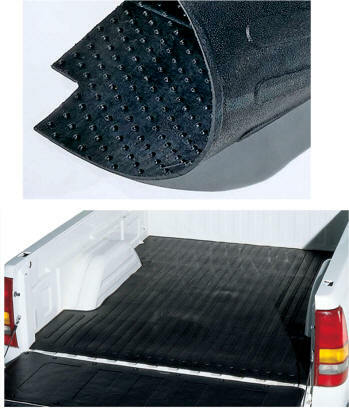 Dee Zee Heavyweight Truck Bed Mats are cut to fit the floor of your bed with only minor trimming, providing full protection. Sturdy, 3/8"-thick NyCord rubber rejects impact damage and stands up to most chemical spills. Meanwhile the treaded top keeps cargo from shifting, preventing the costly collision of heavy cargo and your payload walls. Best yet, when you need to clean out your bed, just roll-up the mat and spray underneath. Unlike drop-in bed liners, you can get to the dirt and water underneath your Dee Zee Bed Mat. 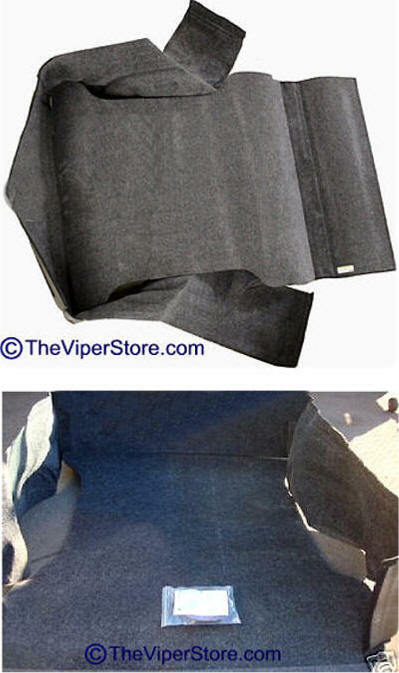 They're available with a matching tailgate mat, too, for even more protection (universal design, trimming required).